On the occasion of the third anniversary of the Ayotzinapa disappearances, LASC is republishing this piece by Liam Bradshaw, who has spent the last six years in the southern state of Chiapas, working closely with local community groups. On September 26 2014, two years ago this week, student teachers from the Escuela Rural Normal Isidro Burgos in Ayotzinapa were attacked in Iguala, Guerrero by local police. Six people were killed, dozens injured, and 43 remain missing two years later. One of the murdered students had been tortured and mutilated beyond recognition. Elements of the municipal, state and federal police as well as the army participated in the attack, making it a state crime. According to the government version of events, the student teachers had commandeered four buses (a common practice in Mexico) and directed them to the town of Iguala to disrupt a meeting organised by the mayor’s wife. A confrontation with the municipal police followed, resulting in the six casualties and the arrest of the 43 students. Some time later, the students were handed over to the Guerreros Unidos drug cartel, having been mistaken for members of a rival gang. They were then murdered, their bodies burnt in the local dump and their ashes thrown into a nearby river. This is the account presented by the Mexican Attorney General when he closed the case last year and presented this as the ‘historic truth’. The historic truth/myth has since been perpetuated by a film, ‘La Noche de Iguala‘, further adding to the pain and rage felt by the parents and families of the disappeared. 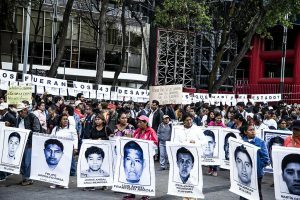 A 560-page report published in September last year for the Inter-American Commission for Human Rights (IACHR) by the Interdisciplinary Group of Independent Experts on Ayotzinapa (GIEI) seriously challenged the government version of events. It noted that the attack, which took place in nine different locations, was highly organized and involved all members of the security forces, and that there was a fifth bus involved. It further noted that the destination of the buses was not Iguala and that the buses arrived when the public event organised by the mayor’s wife had already ended. It found serious flaws in the evidence on which the government version of events is based, including major discrepancies in the testimonies of the drug cartel members questioned about the crime, and discovered that key official records were missing. Perhaps most importantly, the team concluded that it would have taken 30,000 kilos of wood, 13,000 kilos of tyres, and 13,000 litres of diesel to burn 43 bodies in a fire that would have lasted 60 hours, been visible for miles and have caused a serious ecological disaster in the forested area where the bodies were supposedly burnt. No such disaster occurred and local people reported seeing no fire of such magnitude. A number of other serious gaps exist in the official version of what happened. No reference is made to who actually gave the order for the arrests or the murders. Allegations of torture of key witnesses were not investigated. The mistaken identity theory has little weight, as there was constant surveillance and monitoring of the students by the security forces from the moment of their departure from the training college where they studied. Organised though they are, it is unlikely that the cartels had the logistical capacity for such a coordinated, large-scale operation. No information was provided about links between the cartels, local authorities, and public figures. No direct testimony has been given by the army, although it has been alleged that the bodies may have been disposed of in their crematoria. In the search that followed the crime, sixty unidentified bodies were found in the vicinity, none of which were the missing student teachers. What occurred in Iguala cannot be understood without examining the bigger picture of contemporary Mexican society. In 2006, Felipe Calderon, then president of Mexico, began the so-called ‘War on Drugs‘. Since then, the Mexican government has admitted to over 120,000 people dead and a further 25,000 missing, although the true figures are probably even higher than this, with little advance against the cartels. Indeed, these figures are higher than those of the ‘Dirty War‘ against social activists between 1968 and the late 1970s. In fact, the ‘War on Drugs’ can be better understood as a war on the people, a form of social cleansing that targets indigenous groups, student activists, journalists and all those who raise their voices against the rampant corruption and pillage of neoliberalism and narco-politics, which ravage the country hand in hand. 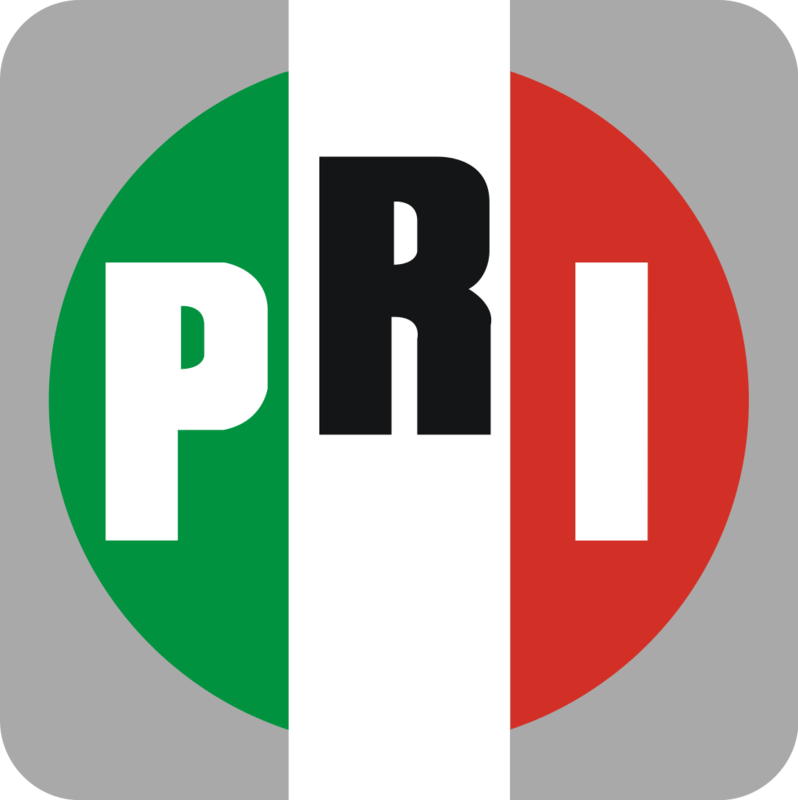 Such a scenario has been made possible thanks to the modus operandi of the Institutional Revolutionary Party (PRI), which has been in power for over seventy years. It is a highly centralised party, and uses a system of party lists when choosing candidates for election. Consequently the inner dynamic of the party is upward, with emphasis on members pleasing party chiefs in order to be included on the lists rather than being accountable to the public. As a successful presidential candidate cannot be re-elected, there is a tendency towards patronage, corruption, and building beneficial alliances that can be used to ensure future prospects when a president’s term of office has ended. Moreover, the party has built up a broad base of social alliances, which include trade unions and small farmer organisations that have been co-opted by the party through the granting of reciprocal political favours. With the appearance of the cartels, the ground was ripe for their inclusion in the system and the establishment of the so-called ‘Pax Narcotica‘. With the shift of the Latin American drug business from Colombia to Mexico, the early years of this lucrative trade saw almost no feuding and minimal sales of drugs within Mexico – with huge profits arriving in the United States, of which Mexico’s political class was sure to take its cut. That was all to change with the implementation of the US-designed Plan Mérida, a re-run of 1998’s disastrous Plan Colombia, which used indiscriminate violence and destroyed the environment in order to decimate Colombia’s cocaine production. As in Colombia, official government anti-drug policy in effect meant an increase in criminal activity, militarisation of the state, and an increase of paramilitary activity. In the case of Mexico, the devastating effects of the North American Free Trade Agreement (NAFTA) meant that there were huge swathes of unused farmland ready for use for drug production, coupled with a population of unemployed youth, ripe for recruitment to the ranks of the production workers and to the private armies of the cartels. NAFTA also ensured a more porous border between the USA and Mexico, facilitating the flow of drugs to the north and arms to the south. A hugely decentralised and underpaid police force (there are over 2,000 different police forces in Mexico) was wide open to corruption, and it is currently estimated that the cartels spend $1 billion in bribes to the municipal police alone in return for a free hand to carry out their activities without interference. The climate and politics of fear created by the media frenzy surrounding the so-called drug war allows for extraction capitalism to move into the ravaged territories almost unnoticed. The same paramilitary groups that are spawned in this environment are put on the payroll and used by the transnationals, as was the case with BP in Colombia. The result is the entrenching of the politics of fear and the silencing of dissent, as national resources are sold off to foreign interests. The War on Drugs in the US resulted in the mass incarceration of marginalised groups, creating the biggest prison population in any country on the planet. This was followed by the privatisation of the prison system and the creation of the prison business. Contracts to feed these captive populations are handed out to the same agro-business giants that are buying up cheap land in Mexico post-NAFTA. The model is being exported and the one of the few tangible results of the drug war in Mexico, apart from the spread of mass graves across the national territory, has been the swelling prison population. It was no coincidence that the Zapatistas chose the date of the implementation of NAFTA to rise in arms against the Mexican government. Since that time, they have been slowly but surely attempting to peacefully build an alternative approach to organising society. One of the cornerstones to that alternative society has been their education system. However, there has been a continual low-scale war waged against Zapatista communities, largely through the use of paramilitary groups. It was no coincidence either that in May 2014, one of these groups struck against the community in La Realidad, destroying their school and clinic and murdering the teacher known as Galeano. Just as in Ayotzinapa, their target was education. 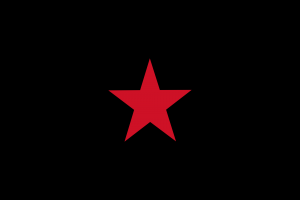 The Zapatistas were quick to organise a homage to their fallen comrade, but to the surprise of many they called for justice rather than revenge. They said that both could only come with the destruction of the system which was responsible for this crime; they emphasised that while those above destroy, those below rebuild. Calls for assistance to rebuild the school and clinic surpassed all expectations, and both had been completed within a year. SCI Galeano, who had changed his name from Marcos in honour of the murdered teacher, described it as the most expensive in history as it had been built with the blood of a fallen Zapatista. The call for justice rather than revenge for the parents and families of the disappeared of Ayotzinapa struck a chord with the Zapatistas, and the two groups have joined forces in their quest. Forty-three empty symbolic seats have been left at the front row of all major Zapatista encounters since the disappearances. Although we all express our sympathy, solidarity and admiration for the families of Ayotzinapa and the Zapatistas, both groups will tell us that this is not enough. Both tell us that justice can only come through the destruction of the system that is responsible for these crimes and that will surely perpetrate other and worse crimes if it continues to exist. Both tell us that we must fight that system wherever we may find ourselves. This can be done through organising to build dialogue and solidarity with like-minded individuals and collectives. It can be achieved through globalising our struggles. Social and independent media can be used to do so. We need to provide non-institutional alternatives and alternative ways of doing politics. We need to give personal example. Mexico may seem very far away to some of you reading this, but the parallels are everywhere. Why does substance abuse invariably affect the most disadvantaged? Is there a culture of fear and are civil liberties being eroded based on this fear? Who controls your natural resources and are they being given over to private interests? What can you do individually and collectively to change this? Your answer to this last question is the answer to how you can best serve the people of Ayotzinapa, Gaza, Standing Rock, Charlotte, or whomever you may wish to support.